The dark mode is helpful while working in low light conditions. Popular smartphone operating systems and many popular apps offer a dark theme or dark mode to help users use smart devices without straining eyes under low light conditions. 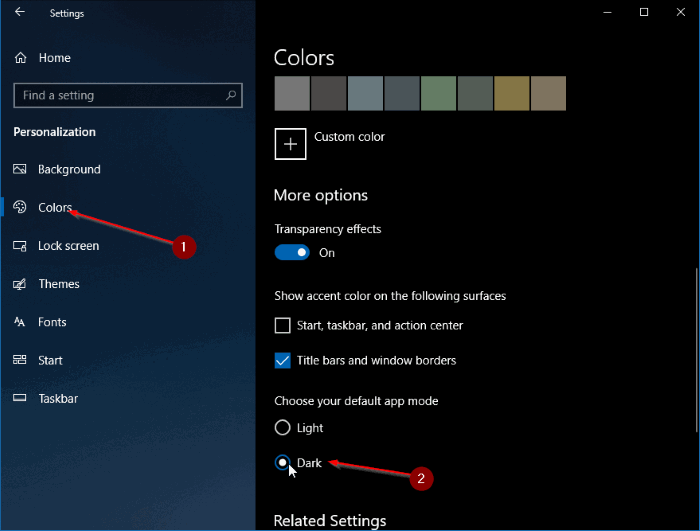 Windows 10 has also been offering a dark mode for some time, but the dark mode is available for apps and Settings only. You cannot apply the dark mode to File Explorer or Windows Explorer. This means, there is no built-in way to change the File Explorer or File Explorer background color. Yes, there is a workaround to change the File Explorer background color in Windows 10, but the solution doesn’t work smooth. Luckily, starting with Windows 10 Redstone 5 build 17666, you can enable the dark mode for File Explorer as well. 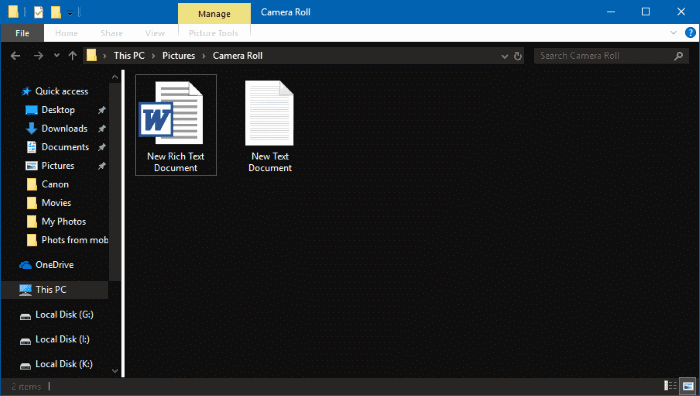 In short, you can now change the File Explorer color to black in Windows 10 without using third-party applications. While this is going to be helpful for many users, it would have been nice if Microsoft offered a dark gray color instead of (or in addition to) the current jet-black color. An option to choose a custom background color for File Explorer would have been great as well. Here is how to change the File Explorer color to black in Windows 10. NOTE: You must be running Windows 10 build 17666 or above to enable dark mode for File Explorer. To check the build information, type winver.exe in the Start/taskbar search field and then press Enter key. Step 1: Navigate to Settings app > Personalization > Colors. Step 2: Select the Dark mode as the default app mode. That’s it! You should immediately see the dark theme on Settings and File Explorer. No need to restart the File Explorer or your PC. As of now, there is no way to apply the dark mode only to File Explorer without changing the color of apps and Settings. Per my understanding and experiences with multiple laptops running Windows 10, before Windows 10 Version 1809, this method change everywhere into dark theme BUT NOT the File Explorer. This is also true even you “heck” the directory to enable the Windows 10 dark mode (you can see tons of videos on You Tube). Update to Windows 10 Version 1809 is the only way to make the File Explorer dark. I noticed, the other day, that File Explorer had a black background, which I find annoying. Could not – for love nor money – make this go away. Your explanation worked just fine, to change it back to white, which is bright, but not annoying.